Foyle Foundation Small Grants Scheme is designed to support smaller charities in the UK, working at grass roots and local community level, in any field, across a wide range of activities. Applications are welcomed from charities that have an annual turnover of less than £100,000 per annum. Grants of between £1,000 and £10,000 are available to charities which can demonstrate that such a grant will make a significant difference to their work. If you cannot demonstrate this, your application will be declined. Please note that demonstrating ongoing sustainability is also important, particularly if you have recently lost local authority or other regular funding. o The advancement of the arts, culture, and heritage. o Charities which are for the benefit of persons who are making an effort to improve their lives. o Charities which are for the benefit of persons no longer physically or mentally able to help themselves. o Charities which have a long-term beneficial impact on the future of individuals, groups of individuals, or organisations. o Charities which protect the environment. o Small or minority charities where small grants will have a significant impact. o Companies where the acquisition of equity would be in line with the Trust's charitable objectives (this is elaborated in the Trust's investment policy which is periodically reviewed). The average grant award tend to be around £5,000 for capital and core costs. During the financial year ending 28 February 2014 the Foundation’s awards totalled £1,450,464 (down from £1,955,095 in 2013). o Scouts, Guides, Brownies, Cubs, and similar organisations. o Sports clubs, unless for the mentally or physically disabled. There is no formal application form. The Foundation prefers to be contacted electronically, and electronic applications will be processed quicker than hardcopy applications. o Details and budget of the proposed project. o How many people would benefit, and how those benefits might be measured (not just financially). o What the estimated cost of raising funds for the project is. o Full accounts for the most recent completed financial year and, if not contained in the accounts, what the organisation's total annual fundraising costs are. Applicants should not send DVDs, CDs, glossy brochures or other additional information. For further information about how to apply, visit the February Foundation website. The Thompson Family Charitable Trust provides grants to registered charities for general charitable purposes across the UK, although the Trust's record of grant distribution appears to show some preference for charities in the London area. • Health and social welfare. Grants totalling £3.5 million were made during the financial year ending 31 January 2014, an increase of £0.4 million on the previous year, bringing aggregate grants made by the Trust to £16.8 million since it was founded in 1985. The Trust currently has around £105 million in unrestricted income for its charitable activities, so is unlikely to run out of funds soon. The Trust does not have a website or a formal application form. Applications should be made in writing to the Trust. Non-profit organisations and other charitable groups based in the UK are eligible for funding under the Foundation’s Children and Families Programme. Grants range in size from £5,000 to £150,000. The Foundation also considers larger grants but makes only a few each year. o Child Welfare and Development - Exploration of the factors affecting children’s welfare and cognitive and social development, and the institutional responses that may be appropriate. Child development beyond the early years through to adolescence,particularly adolescent mental health and social and behavioural development, and the factors promoting or delaying successful transitions from formal education to work and productive adult life. o Family structures and approaches to parenting – including parental working patterns – and the implications of these for family life and children’s wellbeing. This includes the formation of new family types, the contribution of inter-parental relationships, the different roles played by biological and social parents, kinship care, and the well-being of children growing up in adverse family conditions. The Foundation is particularly interested in the factors that contribute to effective parenting and the outcomes of children who experience different types of parenting. o Partnership formation and dissolution and the consequences for childhood outcomes, for example the impact on family resources or the arrangements for child maintenance and parenting. The Foundation is particularly keen to ensure there is better information about the contribution that fathers and other co-parents make to parenting, given that they are missing from, or under-represented in, most of the relevant surveys (such asUnderstanding Society and the birth cohort studies). o Early Years Education and Childcare - The quality and cost of childcare provision and the way childcare is best assessed and delivered; the relationship between childcare quality and deprivation; and the role of informal childcare. Development and testing of emerging approaches to improve child outcomes, such as parenting programmes, literacy programmes and approaches to enhance early language development. The Foundation is also interested in the impact of take-up of nursery provision on later outcomes. o The application of emerging (social) science evidence to improve on the design of programmes for very young children (aged 1-3). The Foundation wants to know whether it is possible to better combine the learning from educational research (e.g. on very early oral language, literacy and numeracy skills development) and social developmental research (e.g. on behaviour management and approaches to ‘self control’) to inform the design and delivery of new programmes to improve child outcomes. o Better understanding of why the costs of childcare have risen, and how far this relates only to the price parents pay, or also reflects underlying cost drivers? The Foundation is also interested in international comparisons on the balance of state and private funding, and the operation and regulations of childcare markets. o Empirical work to identify which mechanisms (such as quality assessment/inspection regimes, qualifications, curricula, interventions) are most effective in improving quality in the early years workforce; and how these mechanisms are best and most cost-effectively combined for each age group. o The extent to which social segregation in early years provision may reinforce social and economic inequalities; and whether more can be done to improve access to, take-up of, and parental engagement with early years education by the most disadvantaged groups in society. o Child Protection Exploration of issues relating to the child protection system, including adoption, fostering and kinship care. The Foundation wants to know how well the needs of children growing up in adverse conditions are met by the social services designed to help them, and to identify areas for improvement to protection and placement services for adoption and fostering. o Better understanding of the underlying drivers (social, structural and institutional) which affect the numbers of children in, and on the margins, of the looked-after system.The quality and role of scientific evidence in the practice of children’s social work and opportunities for intervention to improve the use of evidence. An outline proposal of no more than three sides of A4 must be submitted to the Foundation for consideration by the Trustees who will then decide whether the project is suitable for a full application. o The issue or problem you wish to address. o How the aims will be achieved. o (For research projects) an outline of the methods involved. o An outline of the budget and timeline for the project. o The background to the project. Applications will be considered in November 2015. For further information about the Foundation’s Children and Families Programme, visit its website. making the most of available funding by avoiding the duplication of services and working with other local partners in the community, public and private sectors to improve the life chances of local people. We want applications that are community led and developed in partnership with community, public and private sector partners. The co-location of organisations providing services such as credit union access, local health services, post office services, youth services, sports facilities, library services, etc. is encouraged. Potential applicants will be expected to work with local authorities and Community Voluntary Councils as well as the local community in order to develop applications. The first stage is a short application which will be used to assess eligibility and fit to the scheme criteria, for example tackling poverty. Applicants will get a response to stage one within 30 working days. The second stage requires the submission of a business plan. The two stage process helps to ensure that projects that are not a good fit for the funding criteria do not waste resources developing an application which has little chance of succeeding. The Charity Commission is reminding charities and the public to be vigilant and look out for scams used by fraudsters to obtain bank details. The commission says that it is aware of a recent scam designed to trick religious foundations in the USA, and possibly this country too. The foundations were contacted with news that they were due a large gift or donation from an organisation promoted as being a legitimate and registered charity in the UK, which did not exist. In this instance, in an attempt to make the scam appear more credible, the fraudster used false documentation showing parts of the commission’s logo and a forged staff signature. The regulator was contacted by a number of concerned individuals. 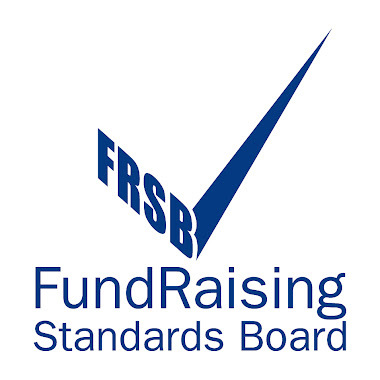 Before giving out any information, particularly of a financial nature, to another charity, trustees can take the simple step of looking up the registered charity number and the charity’s entry on the commission’s online charity search tool. Trustees who receive correspondence falsely claiming to be from a genuine charity or from the commission should report this to the commission and to Action Fraud, the UK’s national fraud and internet crime reporting centre. The commission has referred this matter to Action Fraud. Funding is provided by the Harold Hyam Wingate Foundation for charitable organisations active in the UK. There is no minimum or maximum award limit. However, the vast majority of grants are for £10,000 and under. The Foundation’s charitable expenditure has ranged between £745,000 and £1.3 million over the last 5 years. o Performing Arts (excluding music). o Jewish Life and Learning. o Medical Research Travel Grants. Support is available for the performing arts with particular emphasis on financial support for not-for-profit companies with a record of artistic excellence that require additional funding, not available from public sources or commercial sponsorship, to broaden their repertoire or develop work of potentially outstanding interest which cannot be funded from usual sources. Assistance will also be considered for training and professional development for creative talent or the technical professions. Support is available for those areas of music performance and education which do not readily attract backing from commercial sponsors or other funding bodies, or which are not eligible for public funding. Priority will be directed towards supporting the work or education of musicians based in, or wishing to study in, the UK, but by no means exclusively so. An important criterion will be whether, in the opinion of the Trustees, the funding sought will make a significant difference to the applicant's prospects. The Foundation will be prepared to consider applications for support for on-going expenses and will be willing to consider such support for a period up to three years. Priority will be given to those organisations which give opportunities to young professionals and to education projects for young people as well as for new adult audiences. This would include direct assistance as well as funding for organisations which promote their work or performance, and support for Master Classes. Support is available for activities that encourage Jewish cultural, academic and educational life in a manner that enhances the Jewish contribution to the life of the wider community. In particular, applications are invited from academic institutions specialising in Jewish subjects and from bodies promoting Jewish culture, including museums, libraries and literary publications. Applications are also welcomed from organisations able to demonstrate a record in inter-faith dialogue, in the promotion of reconciliation between Jews in Israel and their Arab neighbours and the encouragement of liberal values in both communities. An application form is available to download from the Wingate Foundation website. Completed forms should be returned by post together with a copy of the organisation's latest accounts. • Homelessness with a particular emphasis on day centres. The Trust does not accept uninvited applications. However, organisations can register their interest for future consideration for a grant by the Trust. One-off grants between £250 and £25,000 are available to charities and not-for-profit organisations. During the financial year ending 31 December 2013 the Trust allocated £2,600,000 to charitable activities. PLEASE NOTE: the Trust does not support animal charities. A registration form is available to download from the Trust's website. The Trust will contact the applicant if it wishes to take the fund request further. The Carnegie UK Trust is inviting third, public and private sector organisations across the UK to take part in a new competition. The Enabling State Challenge is offering a cash prizes of up to £5,000 to UK based organisations that are working to enable individuals and communities to gain more control over their own wellbeing. According to the Trust, the Challenge is about showcasing and celebrating examples of good enabling approaches in action. The competition is part of the Trust's Enabling State programme which has been running since 2012. 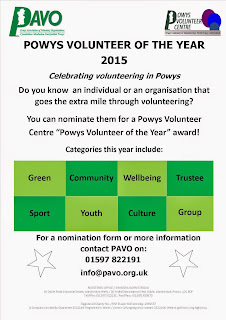 Five prizes of £5,000 each will be awarded following a public vote to exemplary initiatives that demonstrate how to give communities and individuals greater control in a way that improves wellbeing. One overall winner will receive an additional £5,000 prize. The Challenge is free to enter and it is open to any properly constituted UK organisation from within the public, third/voluntary or private sector. • The organisation's approach to partnership working. • The level of innovation demonstrated. • The potential for learning and transferability to be derived. Applications should be made online on the Trust's website. PLEASE NOTE: applicants will need to submit a three minute video alongside a written summary of their projects. The deadline for entries is midnight on Friday 26 June 2015. 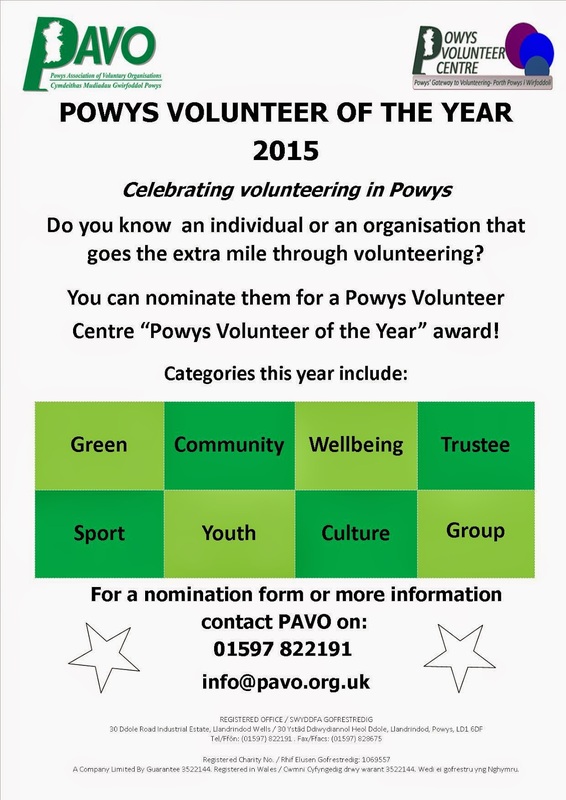 A shortlist will go to public vote on 1 September and close on 2 October 2015. Full details can be found on the Carnegie UK Trust's website. The Centre for Social Justice (CSJ) is looking for the most effective community-based projects in the UK that are helping people trapped in cycles of poverty, breakdown or disadvantage to transform their lives. Innovative and effective projects that are addressing the root causes of poverty are welcome to apply. Work directly with people living in poverty in the UK. This can include working in areas such as addiction, unemployment, educational failure, family breakdown and debt advice. Are seeking solutions that will help people out of poverty and enable them to change their lives. Are addressing the causes of poverty, not just the symptoms. Have an annual turnover of less than £3 million. Winning organisations will receive a cash prize of £10,000. The deadline for applications is 12 June 2015 (5pm). Charity First has published ‘Beyond the Collection Plate: developing church income from different sources’, a guide to fundraising for churches. Written by Steve Pierce, the book, available as a digital download (PDF), is designed to be a practical guide to church groups, whether they are new to fundraising or have some experience. 6 Powys groups have been successful in their bids to the Big Lottery Awards for All scheme. Oldford Active Tenants and Residents Association, Brecon Foyer Youth Committee, Disability Powys, Local Roots, Kaleidoscope and the Vale of Gwryney Community Council have been awarded a total of ££25,986 between them for a variety of projects. Congratulations to them all on their success! Awards for All is a simple way for voluntary and community organisations to get small lottery grants. Groups can apply for anything in between £500 - £5000 for projects that aim to improve the lives of of people most in need. Don't forget we can check your application before it's submitted, free of charge. Contact us on 01597 822191. Parks for People funding helps to conserve the heritage that makes both historic parks and cemeteries special and it gives local people a say in how they are managed in the future. Projects improve people’s wellbeing and knowledge of their area, and make communities better places to live, work and visit. Applicants need to show that the local community values the park or cemetery as part of their heritage, and that they are already actively involved in its management. Not-for-profit organisations and partnerships led by not-for-profit organisations can apply including local authorities, charities, trusts, community interest companies, social enterprises, parish councils, voluntary organisations and community groups. - Surviving or lost historic features or buildings. - Natural heritage including priority habitats and species. - Archaeological sites, earthworks or features from an earlier phase of design. - Collections of plants, trees, objects or documents. - Cultural traditions such as stories, festivals, fairs and crafts. - People’s memories and experiences of the park or cemetery. - The history associated with individual features such as memorials or veteran trees. The next deadline for applications is 1 September 2015 (12pm). Llandrindod SOUP project is currently looking for people/projects to make brief pitches for funding either at the first event on 7th June, at 12 noon on Temple Gardens, at the Big Lunch. Llandrindod SOUP is a regular community dinner (soup) and micro-funding event, bringing people together to share a meal and raise funds for small, creative community projects that make Llandrindod a better place to live. We hear from 4 different projects/visions seeking to create social good (either already going or a completely new idea). Each presenter has 4 minutes to do so. We (as a whole audience) can ask up to 4 questions about each project. We get entertained by local talented artists as we eat and chat. We talk about the project ideas. We vote for the project that we like the best or think will benefit our town the most. We donate our door takings to that project to help make it happen. We make new connections and new friends. The Skipton Building Society established its Grassroots Giving programme in 2013 to mark the anniversary of its 160th birthday. It offered 160 grants of £500 to local grassroots groups and organisations that are “passionate about making life better for others” but which get very little support elsewhere. This year there are 162 pots of £500 to give away to voluntary groups, community organisations and sports clubs throughout the UK. Applicants must have an annual net profit of less than £10,000. Registered charities are not eligible to apply to this scheme. PLEASE NOTE: this is a public vote grant scheme where winners are chosen via the strength of public support. Grants will be awarded to projects that create empowering opportunities and make life better for local communities. Priority will be given to local projects that receive very little grant support from other sources. Local grassroots groups, such as community allotments, social groups for older people, and groups running activities for young people from across the UK may apply. The online application runs from 1 May 2015 to 31 July 2015. Following the application closing date of 31 July, a shortlist of organisations will be compiled and listed on the Grassroots Giving website. The public will then be free to vote for their favourite organisation from 1 September 2015. The winning groups will be notified from 1 November. The deadline for applications is 31 July 2015. Full details can be found on the Skipton Building Society website. RBS Inspiring Enterprise has announced that on 11 May it will launch a £2.5 million grant funding programme for charities, social enterprises and community groups based in the UK and Ireland. The Fund will offer grants of up to £35,000 to charities, social enterprises, community groups, state-funded schools and colleges based in the UK and Ireland for projects that help people learn new skills, get into work or start a business. Groups that are interested can register their details now on the Skills & Opportunities Fund website. Full details about the Fund will be provided as soon as the information becomes available. Applications will be accepted for only 11 days in May: from 11 to 22 May 2015. Grants of up to £5,000 are available for self help groups and other innovative projects that will help educate people about money/debt/consumer issues. Projects must assist people to improve their quality of life through knowledge and understanding of how to manage and take control of their own financial situation. Projects must also provide outcomes that will benefit their wider communities. Not-for-profit constituted groups/organisations within the UK that have an annual income of less than £500,000 and whose unrestricted reserves are less than six months of their running costs are eligible to apply. Applications are being accepted until 31 May 2015. Only the first 40 complete applications that meet the criteria will be considered by the Panel. The Lloyds Bank Foundation for England and Wales has announced it would like to see more applications for development funding from registered charities and CIOs in England and Wales as it still has £2.5 million to award from its ‘Enable’ grants programme for 2015. The Enable grants programme is intended to strengthen charities and charitable incorporated organisations (with an income of between £25,000 and £1 million) that are working with people experiencing issues of multiple disadvantage at points of transition, but have also identified clear development areas which will support their growth. Applications may be submitted at any time. There are no deadlines. However, enquiries should be submitted by Friday 31 July 2015 to ensure a decision will be reached within the current year. Full details about the programme can be found on theLloyds Bank Foundation website.